The Yankees bullpen was nothing short of great this year, despite some noteworthy implosions and the occasionally questionable usage patterns. It ranked first in baseball in fWAR by a full win, and also paced the league in K% and WPA. And, even in the face of the occasional meltdown, they ranked second-to-last in FanGraphs meltdown metric – meaning those rough patches happened less frequently than all but one other team. On April 23, the Yankees acquired Cole from the Nationals for cash considerations. It was essentially a nothing trade, with an eye towards depth rather than tangible improvements to the front end of the bullpen. There was some semblance of a notion that Cole could be more than that, given that he had only just turned 26, and was only a few years removed from being one of the 50 or so best prospects in baseball. His 5.32 ERA in 110.0 big league innings left a great deal to be desired – but, for cash and cash alone, it was a worthwhile move regardless of expectations. And Cole kicked-off his Yankees career in rather grand fashion, tossing five straight scoreless outings, and pitching to the following line: 8.2 IP, 4 H, 0 R, 6 BB, 12 K. It was notable that those five appearances came over a four week span, so it wasn’t as though he was working regularly; moreover, the average leverage index was 0.73, which means that those appearances were predominantly low-pressure. But, even so, it seemed that Brian Cashman may’ve found another weapon for the bullpen. 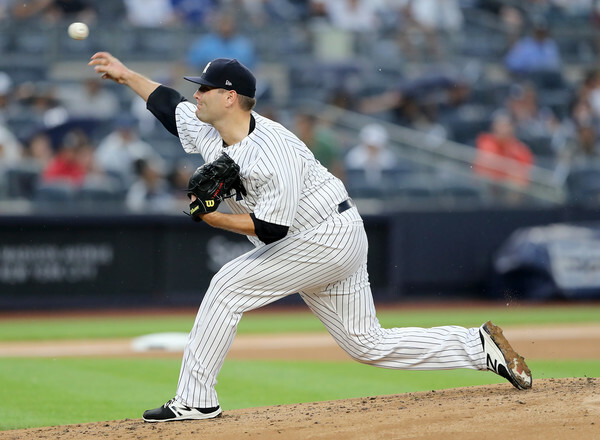 Cole took his first lumps as a Yankee on May 28, allowing a run in 2.1 IP against the Astros. That, however, represented his worst appearance in his first three months with the team (albeit in just 13 games in that span). In that time Cole pitched to a 0.83 ERA in 21.2 IP, allowing just 18 base-runners while striking out 28. And, as a testament to his effectiveness, he did not allow a single one of his five inherited runners to score. Was there something tangible here to tell us that he might be for real? Yes, actually: the Yankees anti-fastball approach. 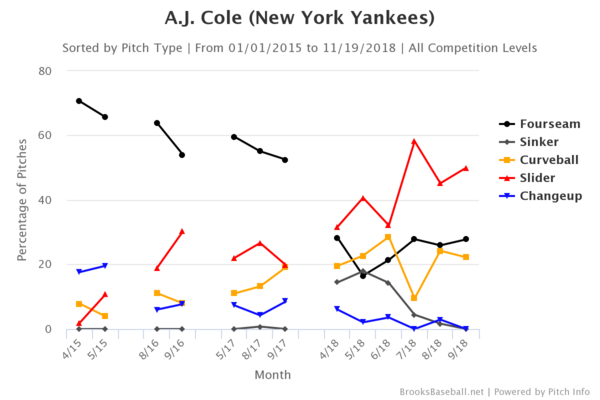 As a member of the Nationals, Cole was throwing between 52 and 70% fastballs; with the Yankees, he threw 25.4% overall. He primarily replaced the fastball with sliders, and that made sense, given that (as per BrooksBaseball) his fastball was his worst pitch, and the slider his best. And it paid huge dividends for several month. And then Cole fell apart. It doesn’t bear reliving to a significant degree, but Cole would go on to make 15 more appearances in 2018, and he’d allow at least 1 run in 9 of those games. His line: 16.1 IP, 27 H, 21 R, 16 ER, 10 BB, 21 K, 8.82 ERA. Batters hit .346/.420/.744 with 8 home runs in 88 PA in this time, and Yankees fans had a collective coronary whenever he graced the mound. What was the reason for this backslide? It’s not entirely clear. His velocity was steady, and batters continued to struggle against his slider even as he fell apart. It may’ve just been a matter of regression to the mean combined with the league learning to simply avoid his slider. Cole ended the Bronx portion of his season with a 4.26 ERA in 38.0 ERA, which works out to a slightly above-average 103 ERA+. He still has five years of team control remaining, as per Baseball-Reference; he’s out of options, though, so he’d have to pass through waivers if the Yankees wanted to send him down. I could see him remaining with the organization as a depth arm, but there’s a good chance he’s done in pinstripes. The Yankees acquired Kahnle from the White Sox a couple of weeks before the 2017 trade deadline, along with Todd Frazier and David Robertson. The latter two had more name value, but Kahnle was thought to be the the biggest and best chip in the deal. It’s not hard to see why, either; he was 27 at the time, came with four-plus seasons of team control remaining, and had been utterly dominant since first suiting up with the South Siders in 2017. 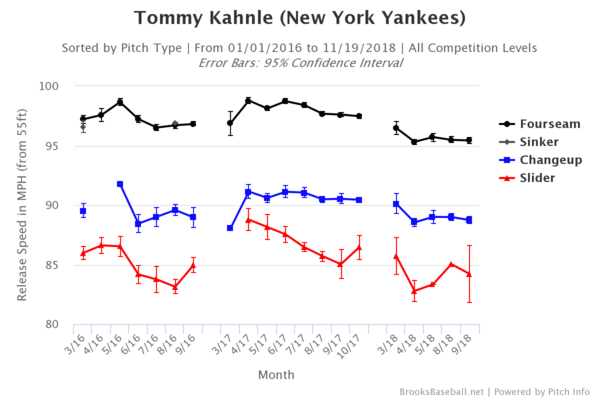 Kahnle was pretty darn good with the Yankees in 2017, pitching to a 2.70 ERA (169 ERA+) in 26.2 IP, and continuing to mow down batters to the tune of a 31.3% strikeout rate. 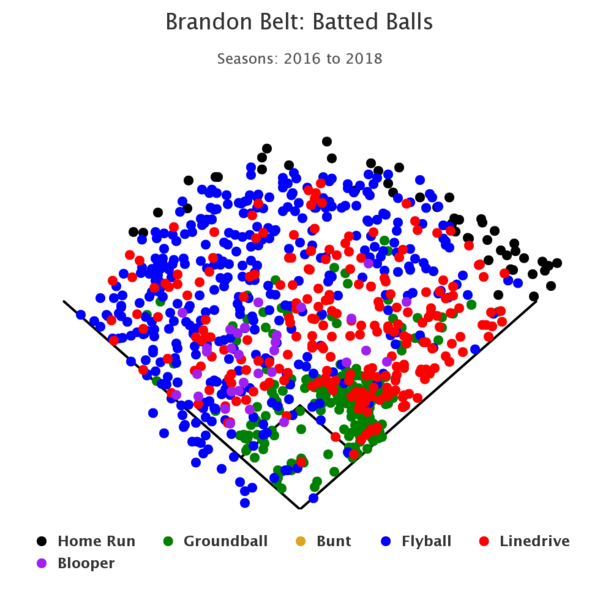 His walk rate spiked from 5.0% in Chicago to 8.7% in the Bronx, which was somewhat disconcerting – but it was still league-average, and it didn’t hinder his overall effectiveness. All signs pointed to Kahnle being a true weapon in the late innings. And then Kahnle opened the season with a stark reduction in his velocity, and limped out to a 6.14 ERA in his first six appearances. There was nothing promising about those outings, either; I suppose you could point to his 9 strikeouts in 7.1 IP, but those were countered by 8 walks, and it looked like the pre-Chicago version of Kahnle was back. It was so bothersome that there was a collective sigh of relief when he hit the DL with tendinitis on April 17, as it meant that there was an underlying cause for his awfulness beyond him … well … being awful. Kahnle made a couple of tune-up appearances in the minors in late May, and didn’t look too good, allowing five hits (including a home run) and two runs in three innings. There were reports that his velocity was still down, but he nevertheless rejoined the team and returned to big league action on May 26. He faced-off against the Angels that day, and allowed two hits, two walks, and four runs in 0.2 IP. His fastball velocity was back above 96 MPH, but he looked bad. And he was back in the minors a week later. Kahnle spent all of June and July in Triple-A, and he was effective, pitching to a 2.18 ERA and striking out 31 (against 8 walks) in 20.2 IP. The velocity was still down in the 95-96 range, instead of the 98ish that we saw in 2017, but he was getting outs, and that’s what matters. His free agency was also delayed for a year, which is a fringe benefit (assuming that he’s worth having around). The now 29-year-old returned to the Yankees for good in mid-August, but the struggles continued. He appeared in fifteen games from that point forward, pitching to a 6.75 ERA in 13.1 IP; he continued to strike out batters in droves, with 19 strikeouts, and his 5 walks were palatable – but he was hit hard when batters did make contact. It was ugly. All told, Kahnle pitched to a 6.56 ERA (67 ERA+) in 23.1 big league innings. Unlike Cole, it’s easy to pinpoint a reason for Kahnle’s struggles – and it comes in graph form. Kahnle’s fastball averaged 97.0 MPH in 2016, 98.1 in 2017, and 95.5 in 2018 – and that’s incredibly significant. His other offerings dipped at similar rates, too, so it does make one wonder if the aforementioned shoulder tendinitis played a role throughout the season. His overall walk rate of 14.0% was awful, but his walks trended downwards when he was recalled, and it didn’t really matter; Kahnle’s biggest issue was that batters were able to square-up all of his pitches and drive them with authority. The fact that he wasn’t locating didn’t help, of course, but it’s a bit easier to get away with that when you have truly elite stuff (see: Betances, Dellin). The Yankees have three more years of team control remaining on Kahnle, and this will be his second trip through arbitration as a Super Two. He’s slated to earn about $1.5 MM this year, and I fully expect the team to keep him around for at least another season, with the hopes that an off-season of rest will cure what ails him. 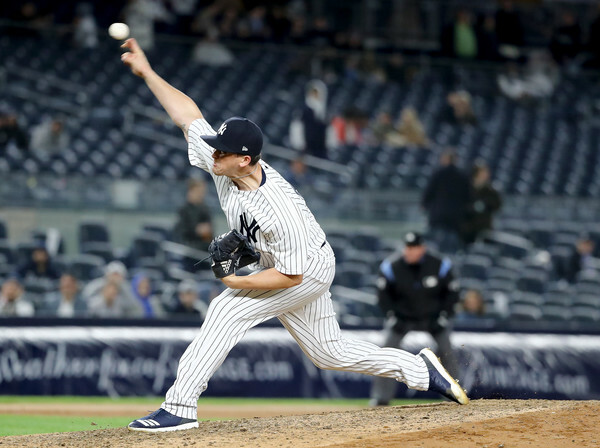 Way back in March, just after he was named to the team’s Opening Day roster, I suggested that Jonathan Holder would remain a part of the Yankees bullpen shuttle between the Bronx and Scranton/Wilkes-Barre. I was impressed by his solid half-season in pinstripes, but skeptical about his ability to be a true relief weapon due to his lack of high-end stuff and questionable efficacy against left-handed hitters; as such, I would not have been shocked if he ended up out of favor in short order. Instead, he served as an integral piece of the bullpen this year from wire-to-wire. You can’t predict baseball, am I right? 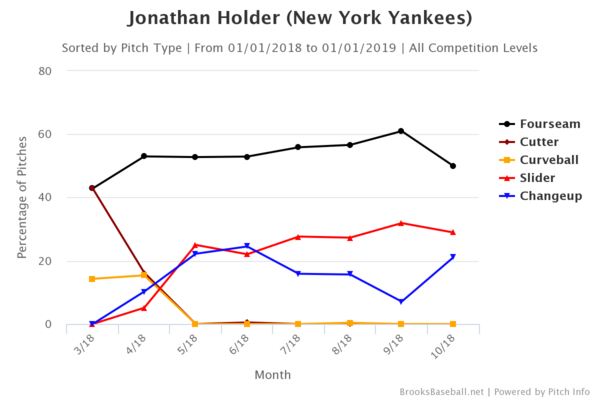 Holder did not look the part of a big-league reliever over his first three appearances – and that’s putting it lightly. His first outing shows up as a scoreless 0.1 IP effort, which is fine; however, he allowed an inherited runner to score, which gave the Blue Jays a one-run lead in the bottom of the sixth. He didn’t return for the seventh, and the Yankees ended up losing. The next time out was much worse. Holder was given the ball in the top of the sixth against the Rays, and struck out Carlos Gomez looking. He then surrendered, in order, a double to C.J. Cron, a single to Wilson Ramos, and RBI single to future Yankee Adeiny Hechavarria, and a single to Jesus Sucre. That’s not exactly a murderer’s row of hitters, and Holder looked absolutely lost. Tommy Kahnle came in after the Sucre single loaded the bases, and eventually allowed a two-RBI double to Denard Span. That’s not entirely on Holder, to be sure – but it certainly didn’t look like he’d fare better, either.
? I feel dirty just for sharing that. Through three appearances, Holder boasted the following line: 2.2 IP, 7 H, 7 R, 6 ER, 1 BB, 4 K, 20.25 ERA. He faced 17 batters in those 2.2 innings, and they hit .467/.500/.733 in this time frame. And he was subsequently demoted to Scranton/Wilkes-Barre. 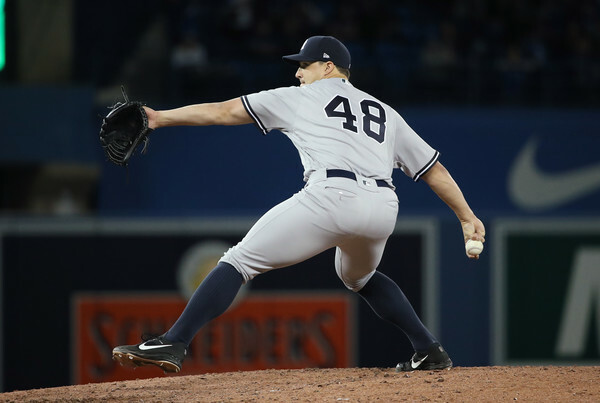 Holder was recalled on April 21, and was called upon that day to close out a blow-out victory over the Blue Jays. And he nailed it down, tossing two scoreless and base-runner-free innings. A great deal was written about the fact that he wouldn’t allow another earned run until June 30 (though, he did surrender unearned runs twice in between), and it was an incredibly welcome sight, to say the least. And from the date of his recall through the All-Star break, he pitched to the following line: 36.1 IP, 19 H, 5 BB, 30 K, 0.50 ERA, 2.01 FIP. It’s difficult to ask for much more from a reliever that entered the season seventh or eight on the bullpen’s depth chart. Was there any change that led to this abrupt turnaround? Maybe! In Holder’s first few appearances, he threw lots of cutters and lots of curves. When he returned to the Yankees bullpen, he scrapped those offerings entirely, and replaced them with more … well … everything else. It made sense, considering (small sample size alert) that batters were hitting .333 against his curve and .556(!) against his cutter, and it paid immediate dividends. 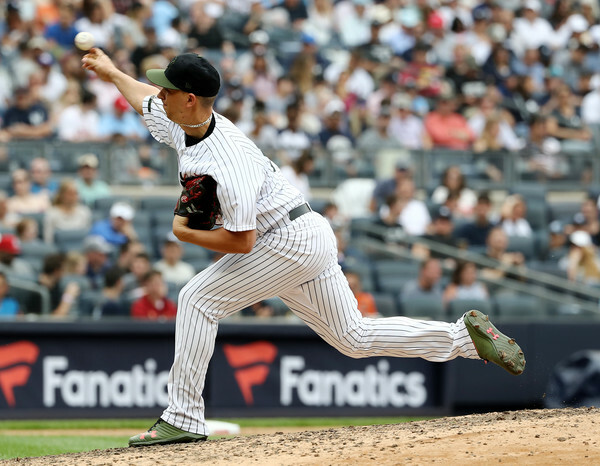 Holder was in Aaron Boone’s circle of trust coming out of the All-Star break, and he rewarded the rookie manager by allowing 10 earned runs over his next seven appearances. That’s admittedly skewed by a 0-out, 7-run effort on August 2 – but he nevertheless allowed at least one run in four of those games. And his ERA jumped from 1.76 to 3.65 in the span of 3.1 IP, which just goes to show how volatile a reliever’s peripherals can be. He did make history in this stretch, however, becoming the first Yankee in nearly 40 years to allow 7 ER without recording an out. Unlike that pitcher – Bob Kammeyer – Holder wasn’t laughed out of the majors immediately after this outing. Holder returned to form after stumbling out of the break, tossing eight consecutive scoreless outings immediately thereafter, and allowing just five runs in his final twenty appearances (21.2 IP) – and two of those runs came in a meaningless game (that the Yankees won) in the last series of the season. He pitched to a 2.08 ERA in this time, and held opposing batters to a .190 BA. That was the guy that we saw for two-plus months in the Spring, and that’s the guy that the Yankees would love to count on going forward. He finished the season with the following line: 66.0 IP, 8.2 K/9, 2.6 BB/9, 3.14 ERA (140 ERA+), 3.04 FIP. More of the same, I expect. Holder is under team control through 2023, and won’t be arbitration eligible until the 2020-21 off-season, so the Yankees will continue to give him opportunities to succeed. If he’s the pitcher we saw in May, June, August, and September, then he’s a legitimate weapon in any bullpen role; if he continues to have his ups and downs, he’s a perfectly acceptable middle reliever (especially for the cost). And, while I’d prefer the former, the latter is more than fine for the team’s fourth or fifth best reliever. The Yankees current in-house options at first base are questionable at-best. Luke Voit was nothing short of incredible with the team, but crazy things can happen in such small sample sizes (lest we forget Shane Spencer and Kevin Maas), and it seems risky for a contending team to head into the year with him as Plan A. And Greg Bird has a full season’s worth of below-average offense spread across three partial seasons, and has yet to show the ability to stay healthy. That’s not an ideal Plan A (or Plan B for that matter) either. There are larger holes on the roster, to be sure, but first base feels like a spot that the team should upgrade. And, short of signing Bryce Harper and moving him over to the cold corner, I’m not sure that there’s a better free agent option than Daniel Murphy. The 33-year-old Murphy was drafted by the Mets way back in 2006, and spent the first ten years of his professional career in that organization. He entered professional baseball as a third baseman, and bounced between there, first, and left field upon his debut, before settling at the keystone in 2011. He has primarily played second since that point, but, with the exception of 2017, he has spent time at multiple positions every year. This is also the point where I will make note of Murphy’s history of homophobia. Way back in 2015 he justifiably came under fire for saying that he “disagree[s] with the [gay] lifestyle, 100 percent,” in reference to Billy Bean working with the Mets. He was given the opportunity to walk it back several times, but basically doubled-down on his statements, saying that he’d be accepting of a gay teammate, but wouldn’t change his stance on homosexuality. And when he was acquired by the Cubs back in August, he continued to be unapologetic. I will not get on my soapbox at this juncture, but this is an elephant in the room that cannot be ignored when discussing Murphy’s free agency. And I completely understand how difficult it is to root for such a player. 2016 and 2017 are probably not informative of what to expect going forward. Those were career years, and he’s a 33-year-old that missed a lot of time following microfracture surgery on his right knee. That’s a serious procedure that doesn’t yield a great track record of players coming back to full strength, and I don’t see a reason to expect that he’ll buck the trend. I included those numbers, however, as one does wonder if there are teams out there that will see some manner of potential for a huge bounceback. That being said, 2018 was basically right in-line with his career norms. 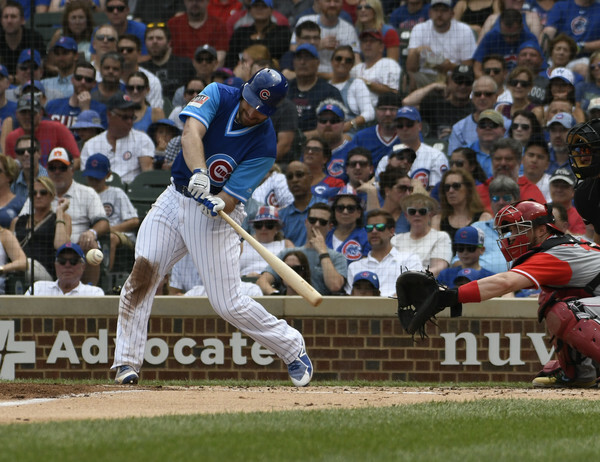 Murphy’s a career .299/.344/.458 hitter, with 6.3% walks and 11.9% strikeouts – this is who he is. And the average first baseman hit .255/.335/.450 over the last three years. I’m evaluating Murphy strictly as a first baseman, as that’s the only non-DH position that he should play. He hasn’t played the position extensively since 2009, but he’s spent time there in almost every season. His career numbers there are strong – 4.8 UZR/150 and 13 DRS/150 – albeit spread out over multiple small sample sizes; it’s probably enough to say that he’d be more than competent there, though. Murphy should never, ever play second base though, outside of a serious emergency. He has simply never been good at the keystone, and he was at his worst there last year (-5.5 UZR and -18 DRS in just 535.1 innings). As I said above, Murphy missed time recovering from microfracture surgery on his right knee. He didn’t make his season debut until June 12, though he was healthy for the remainder of the season. 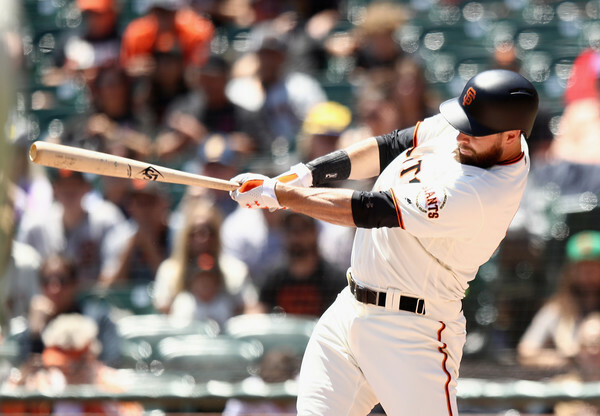 Murphy is a player that is perpetually banged-up, though he hadn’t missed extensive time since 2011, when an MCL injury ended his season in August. Unfortunately, most of those injuries have been the nagging sort, and almost all of them have been his knees. Moving him out of the middle infield permanently could help sort those out, but there’s a disconcerting history here. That seems about right for a 1B/DH that profiles as a tick above-average for the position, right? Under such a contract, Murphy would be expected to be a 2 win player or thereabouts, and that’s definitely reasonable. In a vacuum, yes. Murphy offers a stark contrast to the majority of the Yankees lineup, as a left-handed hitter that simply doesn’t strikeout. 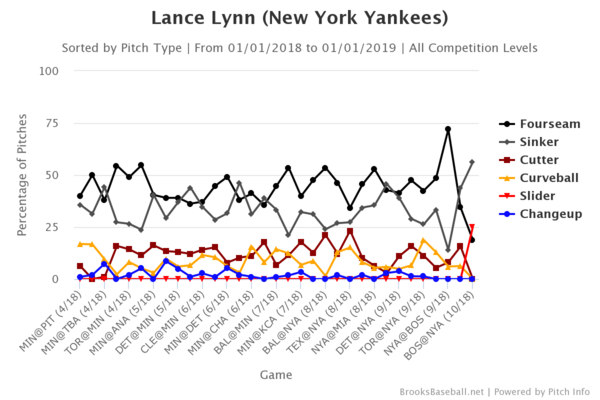 There’s also the potential for a bit more power with a shift into Yankee Stadium, though he tends to hit the ball to all fields so it probably wouldn’t be that big of a jump. We don’t live in a vacuum, though, and baseball isn’t played in such conditions. There are still folks out there that hold the Aroldis Chapman acquisitions(s) as upsetting due to his domestic violence accusations, and it would be difficult to welcome a bigot into the fold. I believe in second chances, but Murphy’s attitude hasn’t shown any semblance of regret – and I don’t know that I could root for him. As of this writing, the Yankees seemingly do not have a demonstrative need for an outfielder. Last year’s regulars Aaron Judge, Aaron Hicks, Giancarlo Stanton, and the re-signed Brett Gardner are all under team control, as are injury question marks Clint Frazier and Jacoby Ellsbury. And, with the possibility of another year of budgetary constraints appearing likelier with each press conference, the very real needs in the infield and the rotation are much more pressing. But does any of that matter when discussing a generational talent? The 16-year-old prodigy earned his GED two years early in order to be eligible for the 2010 draft. He attended the College of Southern Nevada in the interim – a school chosen due to both its proximity to his home and the division’s use of wooden bats – and was absolutely dominant. Harper, who spent the entirety of the season at 17, hit .443/.526/.987 with 31 home runs and 20 steals in 228 AB, and took home the Scenic West Athletic Conference Player of the Year award, as well as the prestigious Golden Spikes Award. And, as most everyone reading this knows, he went first overall to the Washington Nationals in the 2010 draft – and he was in the show less than two years later. Put that all together, and you have a career norm of .279/.388/.512 (140 wRC+), with an average of 30 home runs per 650 plate appearances. That’s great! The issue to many, however, is that his year-to-year production is kind of all over the place. His 10-win 2016 season is sandwiched between two middling seasons, and his last four years have alternated batting title contention and sub-.250 marks – and that’s frustrating, to say the least. What we do know, however, is that he has always hit for big-time power, and his discerning eye at the plate has never really slipped. Sure, both with shift between great and elite – but having a baseline of ‘great power’ and/or ‘great discipline’ is tough to argue against. And, even in a year with an ugly looking batting average, Harper still sported a 135 wRC+, which was good for 15th in all of baseball. Harper posted a 138 wRC+ through May 31, and a 148 wRC+ from July 1 through the end of the season. You can’t just ignore a bad month, to be sure – but his bottom line was dragged down significantly by that month, and he still ended up as one of the best hitters in all of baseball. And that is who he has been more often than not since debuting as a teenager in 2012. 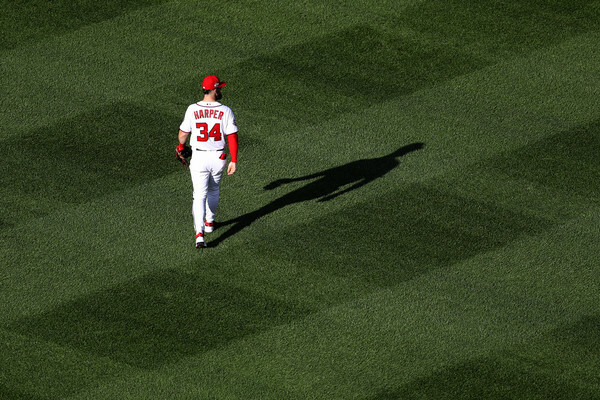 Harper has played all three outfield positions throughout his career, but has primarily served as a right-fielder since 2015. And for his career, he’s roughly an average defender in right, posting -0.6 UZR/150, -2.1 DRS/150, and/or +3 total zone per 1200 innings. Those numbers universally agree that he was awful this year, though, checking in at -15.4, -16, and -22. Ouch. He played a fair amount of center this year, too, logging 477.1 innings. The numbers, as you can imagine, are far worse there. Though, in a career of small sample sizes in center, Harper also grades out as average-ish there. That doesn’t mean that a team should sign him as their center-fielder – but it is representative of his athleticism and skill. A great deal has been made of this drop-off, with some suggesting that it was a problem of focus (or effort). And that’s not something that you want to hear, especially for a player that is purportedly hoping to shatter some contract records. It may also have something to do with Harper making a conscious effort to stay healthy (more on that in a bit), as he has injured himself more than once due to some all-out effort in the field and on the bases. Either way, it’s something to watch. And there have been nagging injuries most every year, to boot. He has hurt both shoulders running into the wall, jammed multiple fingers on the base paths, and has required stitches from lacerations from both (as well as a broken bat). All of these injuries stem from his style of play, though; that is, he plays all-out at all times. Or, that is, he used to. 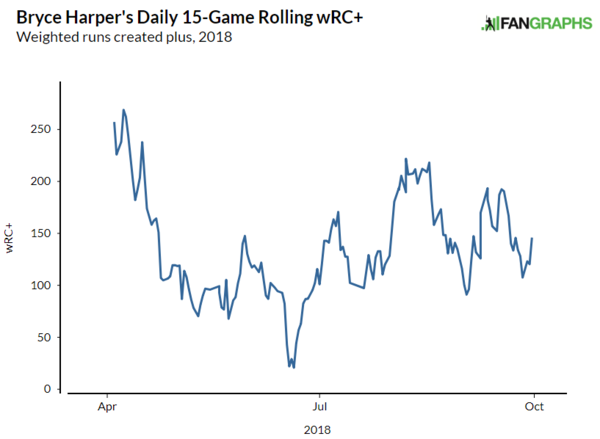 The questionable outfield effort and his career-highs in time on the field may stem from Harper’s conscious effort to stay healthy as he entered free agency, and it’s difficult to blame him for that. If that is the reason why his defense slipped, though, the hope is that he can find a happy medium between not trying on defense, and breaking his body in his 20s by going at 100 MPH from wire to wire. Harper turned 26 a few weeks ago, and has been one of the best hitters in baseball throughout his career – were you expecting anything else? Players of his caliber and age simply do not reach free agency all that often, so any team with a hope of signing him has to be ready, willing, and able to pony up the dough. The Yankees may not have clear-cut room in the outfield for Harper, but they do have a need at first base – and Scott Boras has already made it clear that his client is more than willing to make the move. Harper has taken grounders there on and off for years, so the transition may not be as difficult as it would in normal circumstances. Moreover, with the new norm of shortening benches, the ability to play first and the outfield would be a boon. And, while I wouldn’t endorse Harper playing center, it’s worth noting that the aforementioned Hicks might be one of the Yankees best trade chips, and he’s just a year from entering free agency. It might be worth exploring dealing Hicks for an arm, starting Harper in center, and using Gardner as a defensive replacement. It’s not a perfect idea – but the notion of having an outfield of Stanton, Harper, and Judge is drool-worthy. It’s also worth remembering just how young Harper is. He’s six months younger than Aaron Judge, but comes with a much longer track record. Again, those sorts of players almost never hit the market. And he’ll cost nothing but cold, hard cash (and the Yankees second-highest 2019 pick and $500,000 in IFA bonus money, but still). The need might not be entirely there, but the fit is unquestionable. A patient, powerful left-handed hitter in that lineup (and in that park) is ideal, and Harper is the best option available by a long shot. And I believe that he is the sort of talent that you make moves for – even if it’s only handing him a first baseman’s mitt and hoping for the best. 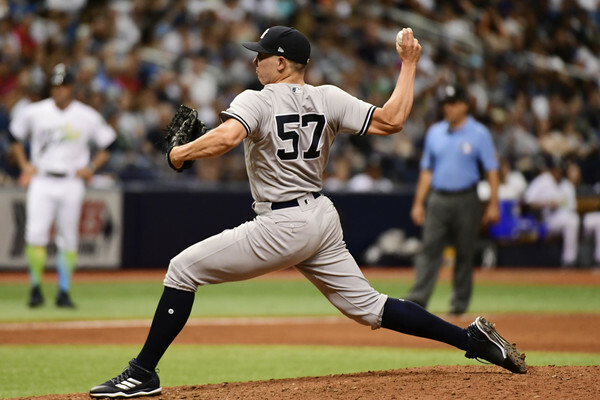 We, as fans of the Yankees, know that Green is brilliant, and have a strong sense of confidence whenever he enters the game – but he is nevertheless one of the best kept secrets in the bullpen (at least insofar as any Yankee can fly under the radar). Such is the life of a middle reliever without the flash of his teammates, I suppose. Let’s break it down a bit further. A huge part of Green’s appeal in 2017 – aside from his 1.83 ERA and 13.4 K/9, of course – was his ability to eat innings out of the bullpen. He recorded 4+ outs in 30 of his 40 appearances, and went 2+ innings 17 times. 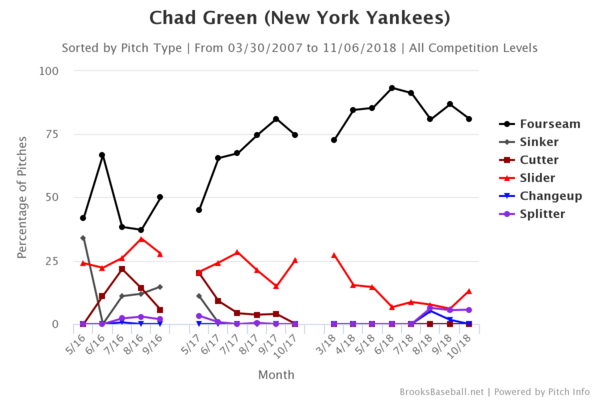 In an era with more pitching changes and increased specialization, Green’s ability to be incredibly effective for multiple innings was a boon for the Yankees. And the expectation was that he would continue to serve that role for the team in 2018. It didn’t quite work out that way, though. Green recorded 4+ outs 20 times this year, spread across 63 appearances, and he only went 2+ innings 11 times. He was quite good once again, pitching to a 2.50 ERA in 75.2 IP, so it’s difficult to criticize his deployment by Aaron Boone – especially when injuries occurred and pieces had to be shifted around. However, it does make one wonder what was left on the table this year, given that Green prefers pitching multiple innings; and it’s much easier to find a reliever that can get you two or three outs than it is to find one that can get four or five (or, in three cases in 2017, nine-plus). It’s difficult to parse whether Green is better in longer outings, though. The greatest issue to overcome is the simple fact that a pitcher is far more likely to be pulled if he’s not performing well – so we can’t really say for sure that Green wouldn’t have went deeper into the game if he didn’t allow 2 runs in 0.2 IP on April 5, or if he hadn’t allowed three base-runners in 0.2 IP on August 2 and again on August 26. Seven of Green’s 40 appearances (17.5%) in 2017 came with 0 or 1 day of rest, as compared to 31 of his 63 turns (49.2%) in 2018. That’s a massive difference in usage, and it seems possible – if not probable – that this played a role in his dip from untouchable to merely excellent this year. And it almost certainly played a role in the drop in his fastball’s effectiveness. In 2016, Green threw just over 39% four-seamers. That number jumped all the way up to 68.6% in 2017, which makes sense given that he moved from the rotation to the bullpen full-time. And there was another sizable jump this year, with four-seamers representing 86.3% of his offerings. That meant that his sinker and cutter, which were already used sparingly, disappeared, and his slider usage was slashed by more than half. Much like Green himself, the fastball went from untouchable to excellent. And that makes sense, given that he was pitching more often and throwing the pitch more than ever before. Whether this trend continues is the million dollar question with Green, given the general unpredictability of relievers, and the Yankees pipeline of young arms. There was a drop-off, to be sure, but it was unrealistic to expect Green (or most any reliever for that matter) to be as good as he was in 2017 again. This version of Green would’ve been the best reliever on the majority of the teams in baseball, and he’s not even the best in pinstripes – and that’s awesome. Green is entering his final pre-arbitration season, so he’ll be dirt cheap in 2019. And he’s under team control for three years after that, which is also awesome. There’s always the possibility of a trade (and Green has a ton of value because of that team control), but with David Robertson and Zach Britton hitting free agency, it seems likely that Green will be back in pinstripes and holding down the fort in the middle innings next year. And I’m more than okay with that.